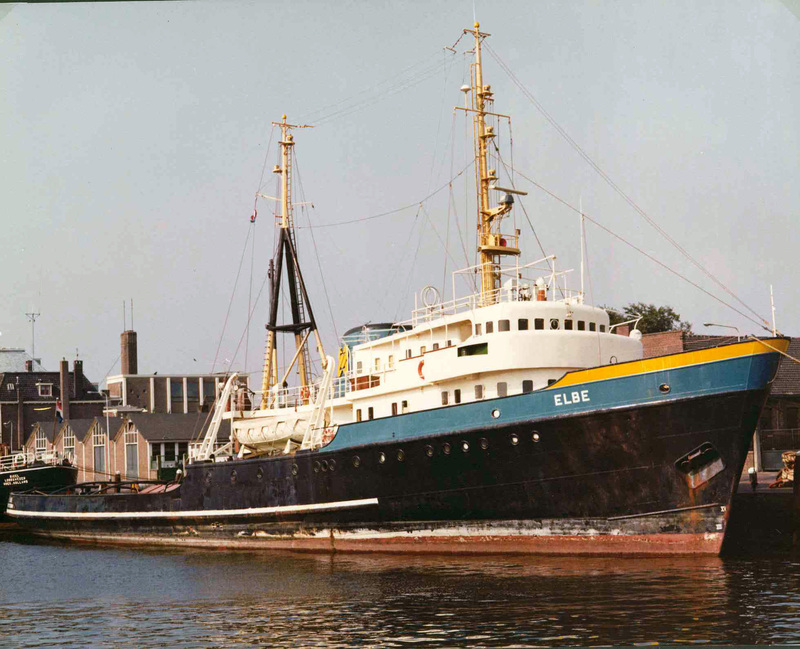 In 1976, Smit decided to push off the Elbe and offered her for sale. One of the terms was that she would not get into the hands of a rival. When the Elbe was rebuilt to pilot cutter, where, of course the towing winch was removed, she would be heading into a bright new future. On one of the last towing jobs, the Elbe is towing a pontoon from Algeciras in Spain to Felixstowe in England. Some smaller jobs on the North Sea follow, whereafter the ship is being prepared for the voyage to Cork in Ireland. Chief Engineer A.J. Dijker is the last man on board. He takes the ship with a temporary crew to Ireland. At the Verolme ship yard in Cobe, the Elbe is being thoroughly rebuild. During rebuilding the ship, the Elbe isn’t obviously a tug anymore. 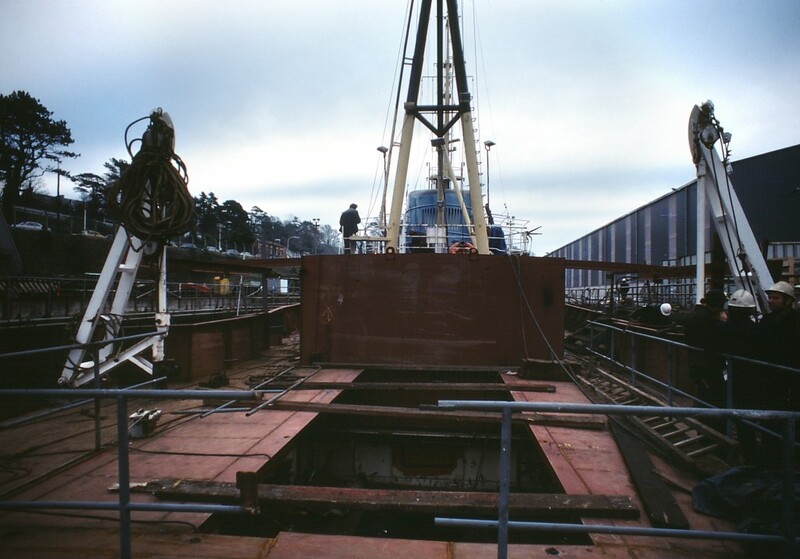 Besides the removal of the towing winch, also the [sleepbogen] and the engine room hatch are being removed. Also, the boat deck is being expanded up to the capstan on the poop deck. Extra crew quarters are being created for the pilots and the sloops are being placed to the aft. Also, the bridge deck is being expanded and the [berghout] is being cut away. However, during rebuilding the ship, the original interior is retained. Later, during restoring the vessel, this turned out to be a blessing for the ship as well as for her crew. Under her new name Maryland, the Elbe serves during nine years as pilot cutter off the coast of the United States. 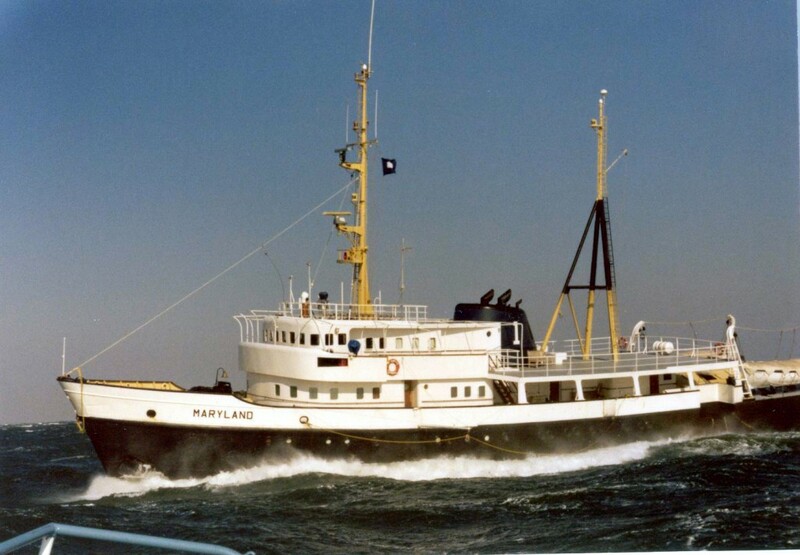 The ship is here also praised for her seaworthiness as she appears to behave extremely well on rough seas. However, The Association of Maryland Pilots decides to hand her over to Greenpeace in 1985. At that moment, the environmental organization is looking for a firm ship for campagnes, mainly in Arctic waters.